Coronado Brewing Company is participating in the fifth annual Ales for ALS™ program. One-hundred-twenty-eight participating breweries from 36 states each brewed a unique beer using a hop blend provided by Loftus Ranches and Yakima Chief – Hopunion (YCH HOPS). Ales for ALS™ has raised more than $1,250,000 for ALS research, with proceeds benefiting the ALS Therapy Development Institute (ALS TDI). The ALS TDI’s mission is to discover and develop effective treatments and a cure for amyotrophic lateral sclerosis (ALS); there is currently no cure for the progressive neurodegenerative disease which affects 500,000 people worldwide. Coronado Brewing’s Buster 4 IPA is a tribute to Lou Gehrig, who was famously diagnosed with ALS at the height of his baseball career, and subsequently became a face for disease. Buster 4 IPA features the unique hop blend provided free-of-charge by YCH HOPS, including Citra, Loral, HBC 472, HBC 344, HBC 568, and HBC 431. The donated hops were used in the mash, late kettle additions, and dry-hoping for a big tropical and citrus aroma and flavor. Buster 4 IPA comes in at 6.0% and 50 IBUs, with a lingering, dry finish. Buster 4 IPA will debut at the company’s Tasting Room on July 4, in honor of Gehrig’s retired #4. $1 from each pint sold will directly benefit ALS research. The beer will also be featured at the fourth annual Ales for ALS™ event at Faction Brewing Company, in Alameda, CA on July 22, 2017. Buster 4 IPA is part of Coronado Brewing’s ongoing commitment to the community; for more information, visit coronadobrewing.com. Stay Coastal. Cheers. 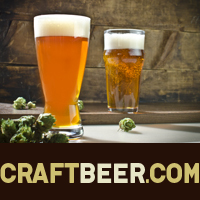 The post Coronado Brewing Company Supports Ales for ALS with Buster 4 IPA appeared first on CraftBeer.com.